“The first time I met Ray was in 2004 at a Linda Trayers gig in Kilburn where Russell Brand headlined and only three people turned up,” Paul Ricketts told me yesterday. “The gig was pulled but, Russell Brand still demanded his money (£100), leaving Linda Trayers in tears. Straightaway, Ray saw his opportunity to console Linda whilst at the same time continually asking for a gig. “Ray,” Paul told me, “stood apart because he did take himself very seriously. Because of his previous incarnation as a magician he felt he had the experience and stagecraft to make it as a comic. Right from the start he aggressively sold himself as a comedy performer. “He became a monthly fixture at the Comedy Store Gong Show, cleverly realising that his Happy Days Are Here Again intro music took up at least one minute of the five minutes he needed to survive. His material was made up of inoffensive old jokes – the sort you’d find in Christmas crackers – delivered at a pace that would make Stewart Lee sound like fast-talking Adam Bloom. It was this slow, deliberate delivery which made him distinctive and generated much of the laughter. Paul Ricketts tells me Ray was very ambitious, but would hand out publicity photos of himself with the corner torn off, presumably because they were old photographs and had his real name printed on them. 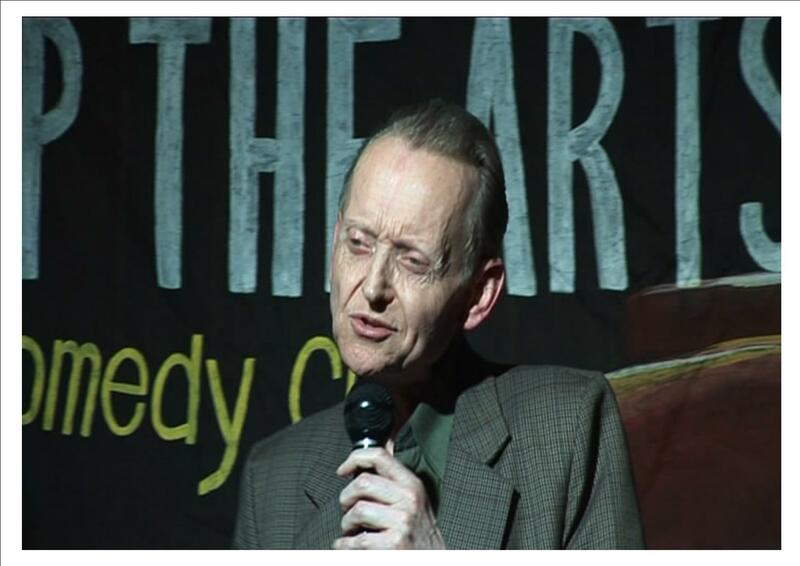 “He was as impatient as any younger comic about his progression in stand-up,” Paul says, “He would badger people for gigs and hand out leaflets and photos to any and everyone. Once he’d been on or turned up at a gig hoping to get on, Ray would heckle some acts by falling asleep in the front two rows. Not only would this disconcert those on stage, it would disconcert the audience who would be scared to wake him up as they weren’t sure if Ray was dead or alive. In any event ‘falling asleep’ would ensure that Ray became the centre of attention. Paul Ricketts adds: “I had some political conversations with him and he was a libertarian in the way that he instinctively distrusted Government, especially the tax authorities. This could explain the occasion when he asked to perform his magic act at a children’s centre but changed his mind when he was asked to give his bank account details and undergo a Criminal Records Bureau check. “On another occasion, he asked me how he could open a bank account under his stage name so he could avoid paying tax.